On the 30th January, I walked through the gates of St Brendan’s National School in Loughshinny with a bag on my back. Obviously, I have grown a bit since the last time I did it! Working in my old primary school for a week was absolutely brilliant. Myself and the two girls I did my placement with had a very hands-on, enjoyable week. We were given the opportunity to try a variety of different jobs- from taking over the secretary’s office to making smoothies with the students! Some of my afternoons were spent in the sandpit with the Junior Infants while others were spent knee-deep in coloured paints and crepe paper. I particularly enjoyed working with children who had learning difficulties throughout the week. This aspect of my placement made me realise that I would love a career in speech therapy, something I had never considered before. 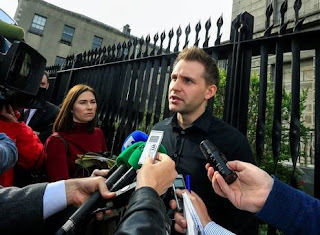 For my second week’s placement, I got the once in a lifetime opportunity to observe a landmark data-privacy case between Maximilien Schrems, Facebook and the Data Protection Commissioner in the Four Courts. My uncle is a solicitor and he was defending Maximilien Schrems, an Austrian data privacy activist and lawyer. Throughout the course of the week, I sat beside Mr Schrems in the High Court while Facebook’s team of lawyers, who they had flown in from the USA, stared at us from the other side of the courtroom. I must say that it was a totally unique experience that I really enjoyed. I was immersed into the case, just as the solicitors and barristers were. This gave me a valuable insight into different roles in the courtroom. During the third week, I did work experience in Fighting Words, a creative writing centre founded by Roddy Doyle. 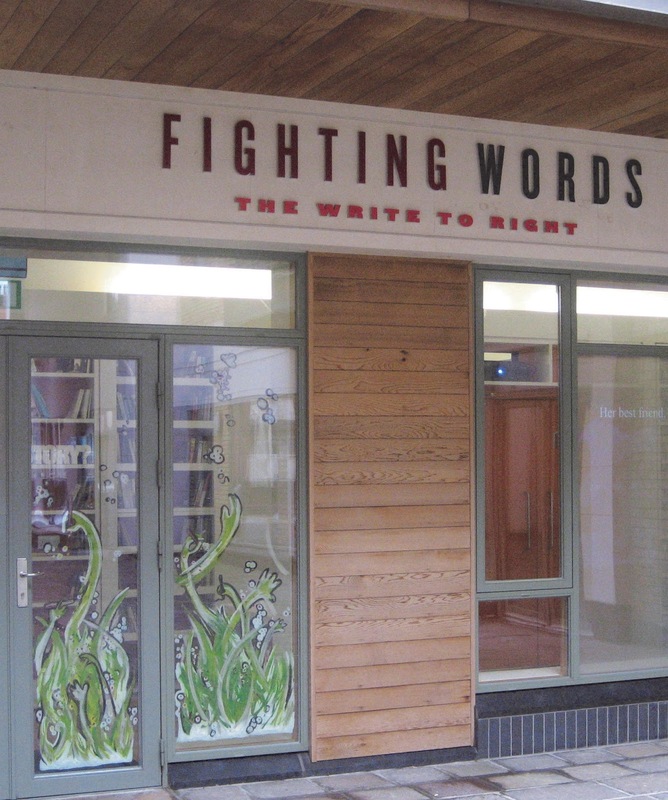 Fighting Words provides children, teenagers and adults with intellectual disabilities with the opportunity to use their creativity and write their own original stories. My focus for the week was on the primary school workshops. A class came in to the centre every morning from different primary schools across the country. 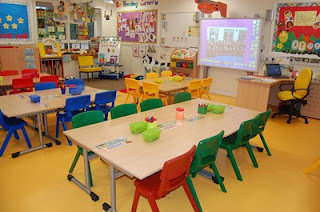 We created a magical, creative environment for them while they wrote a story as a group. We were each assigned a child who we would help and encourage to write their own unique ending to the story. Complete with the beginning, unique ending, professional illustrations and their picture on the back; each child went home with their own book- as a ‘published’ author. I thoroughly enjoyed this placement. My favourite part was seeing children who had no confidence in their ability to be creative leave with a copy of their book and a smile on their face! Ever since I was a fretful First Year, the anticipation of Transition Year has got me through difficult times such as the Junior Cert. I’ve been looking forward to going on work experience for years! Recently the long awaited time came for me to venture out into the big bad world of professionalism and public transport. My most enjoyable placement happened to be the one I least expected to like. To be blunt about it, I didn’t know what the function of a PR company was until I spent a week working in one in Dublin City. I was petrified by my lack of knowledge before I arrived on my first day, but as soon as I met my co-workers (four people who were all experts in their own right) I was put at ease! All week I was extremely busy in the best way possible. I was given tasks to do almost all of the time. Of course I still managed to drink five cups of tea a day but that’s beside the point! I wrote press releases, answered phones, did administrative work, researched events and companies, collected news stories, and created a possible social media campaign. By the end of the week I felt like I was a PR master ready to take on any bad press a client could get! Overall it was a very rewarding, positive experience. For 3 weeks TY students embarked on work experience in an attempt to gain a sense of what careers we would/wouldn’t like to do in the future. I went to 3 different places, Murray Flynn Maguire Solicitors, the Photo Centre Balbriggan and O’Briens. My favourite was the solicitor's office because that is where I gained the most experience and law is a career I would like to pursue. During that week I learned very quickly that it is nothing like you see on TV, in real life solicitors are buried in paperwork and most of the time they are not working on high profile cases. I also got the chance to talk to one of the practising solicitors and she gave me a step by step guide on how to qualify as a solicitor and she also gave me advice on how to enjoy the process since it does take roughly… 7 years!! My least favourite placement was the Photo Centre. Although I did enjoy the independence he gave me, I felt like there was a lot he did not explain clearly no matter how many times I asked. I also didn’t learn much about photography or owning and running your own business, which I had hopped to do. However one of the valuable skills I learned, was how to improve my people skills improved. I enjoyed my week in O'Brien's, the staff were all really kind and so were all the customers I dealt with. I was able to handle the fast pace needed to keep up with the flow of customers. During that week I was able to improve my communication skills. Overall I enjoyed work experience, I feel it helped me improve on some of my transferable skills and gave me a real sense of what I want to do in the future.